Join Molly on her second magical rhyming adventure as she visits the enchanted dressing-up wardrobe in her Granny's house. There are so many costumes to choose from in her magic dressing-up wardrobe. Today she's going to be . 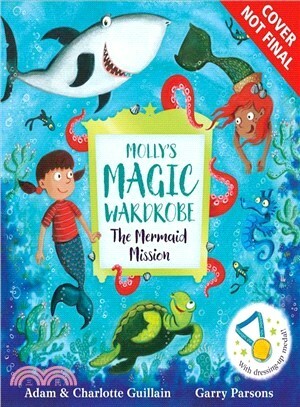 . . a mermaid!With a whizz and a pop and a shower of stars, Molly dives below the sea and soon finds herself on a mission: she must race to save the mermaids' shipwreck from some pesky sharks! Adam Guillain and Charlotte Guillain are the coauthors of the George's Amazing Adventures series, which includes Spaghetti with the Yeti and Doughnuts for a Dragon. Garry Parsons is the illustrator of The Dinosaur that Pooped a Planet, as well as the Dragonsitter series.